Denny Jump (Bellevue, WA, United States) on 11 July 2018 in Sport & Recreation. In the game of Baseball, There is nothing much more frightening to a batter than to have a 60 or 70 Mile an hour "Fastball" coming in toward your head rather than the "Strike Zone!" 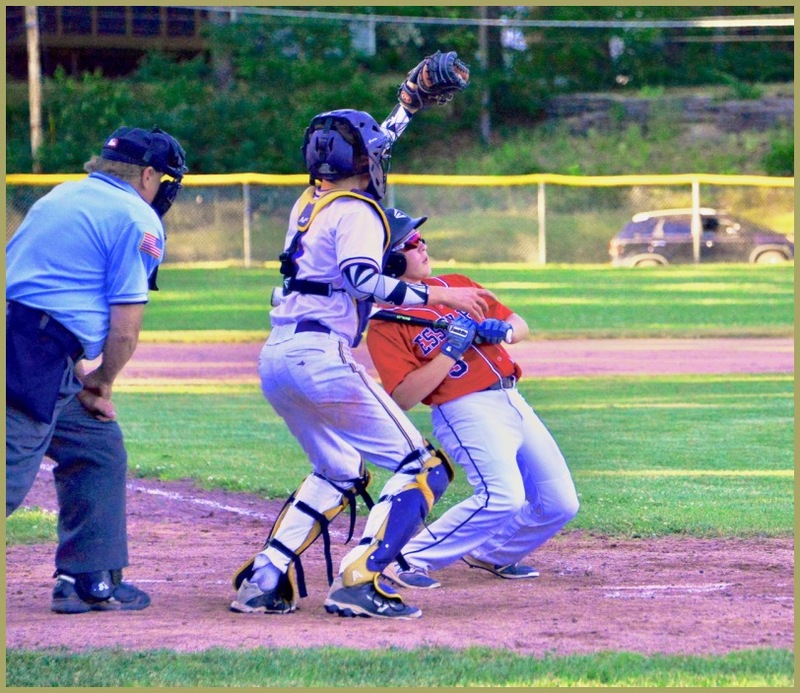 This shot is my youngest grandson, Ryan, dealing with an "Inside" Fastball really close to his head! I am still traveling back to the West Coast, thank goodness! We hope to be back home by around July 17th....Thanks for sticking with me during this long period. Superb capture of the action. Ryan has great reflexes. A cute caption to accompany this action shot! !